The 5 things to know from the World Economic Forum on Thursday morning. 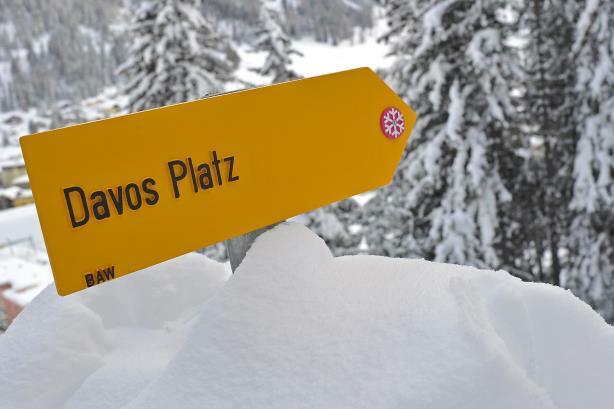 PRWeek convened a stellar group of in-house comms leaders in Davos Wednesday, including Google’s Corey duBrowa, Procter & Gamble’s Craig Buchholz, Coca-Cola’s Bea Perez, Alibaba’s Jennifer Kuperman, and PayPal’s Franz Paasche, who discussed how the increasing role of the CCO is reflected at #WEF2019. Twelve years ago, CCOs were rarely accepted as delegates - this year PRWeek panelist Sally Susman led Pfizer’s delegation. On the heels of its much-discussed Gillette ad, P&G chief brand officer Marc Pritchard unveiled a new thought-provoking commercial at The Female Quotient Lounge in Davos. In the latest spot for Ariel Matic soap detergent’s Share the Load campaign, an Indian mother realizes she hasn't taught her son to do household chores. "It's not enough to say toxic masculinity is bad - we have to be a role model for a new generation of men," said Pritchard. PRWeek’s tablets of insight from the Davos mountaintop continue via interviews with more high-profile communicators explaining what the World Economic Forum week means for them: MasterCard’s Rose Beaumont, Cargill’s Devry Boughner Vorwerk, and TCS’ Ben Trounson talk Davos, CCOs, purpose, and sustainability. By 2050, we’ll need 50% more food to feed the global population. Good news for food companies? Not necessarily. Global conglomerate Cargill took over the Sustainable Development Goals tent Wednesday night to pitch a sustainable future to see it through another 154 years, rather than just three decades. CEO David "D-Mac" MacLennan is betting on technology, digital innovation, and new partnerships – sometimes with competitors. What’s that tell-tale smell wafting through the crisp Alpine air? The cannabis lobby is high on the Davos 2019 agenda. Short-lived former White House comms director Anthony "The Mooch" Scaramucci exited Celebrity Big Brother – or was kicked out? – and flew to #WEF19 to interview former Israeli PM turned cannabis exec Ehud Barak at Cannabis Conclave high in the mountains. Davos regular Mooch also packed out The Female Quotient Lounge Weds afternoon. In other comms news for Thursday, Trump will delay the State of the Union until the government shutdown ends. Buzzfeed will lay off 15% of its staff. Cuts are also happening at Verizon Media, which owns AOL, Yahoo, HuffPost and other brands, and Gannett. Bloomberg reports that Google tried to restrict its workers ability to organize online.